Learn the basic Permaculture design principles and techniques and develop the practical skills to implement sustainable designs for ecological landscape and backyard. This 13-day intensive learning opportunity combines theory with practical hands-on activities; it also includes field trips, guest speakers and the permaculture design exercise. The course is offered August 13-26, 2017 (no class August 19). 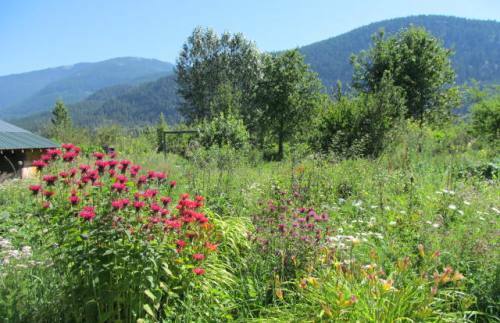 The two-week Permaculture Design Course has been presented annually at Spiral Farm in Winlaw, BC in partnership with Selkirk College since 2001. Course graduates will receive the Permaculture Design Course Certificate from Selkirk College. To learn more visit the Kootenay Permaculture Institute website or send an email. Call 250.354.3220 or 1.866.301.6601, ext. 13220 or email nelsonce@selkirk.ca to register.